Happy Tuesday guys. To make up for no Monday Mani post yesterday, I wanted to put up this sweat proof, water proof top tips post. There's 20 tips and tricks to get your makeup lasting all day. If you have any that I haven't mentioned then please leave them in a comment below or message me them via social media. I hope you like this post and are all having a fantastic week so far. 1. 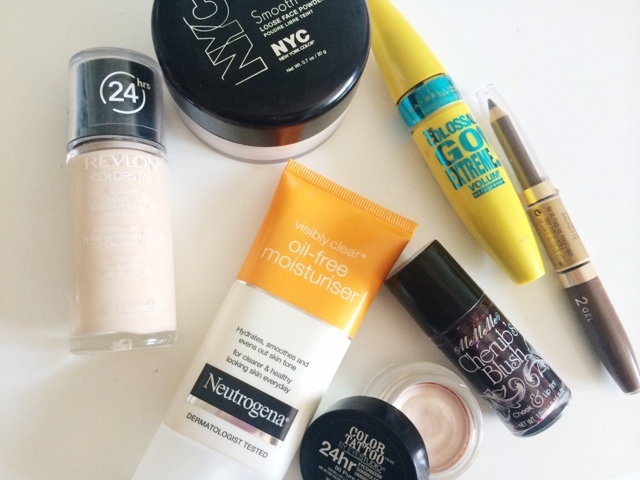 Use an oil free moisturiser, SPF and foundation to prevent a greasy, sweaty look to the skin. 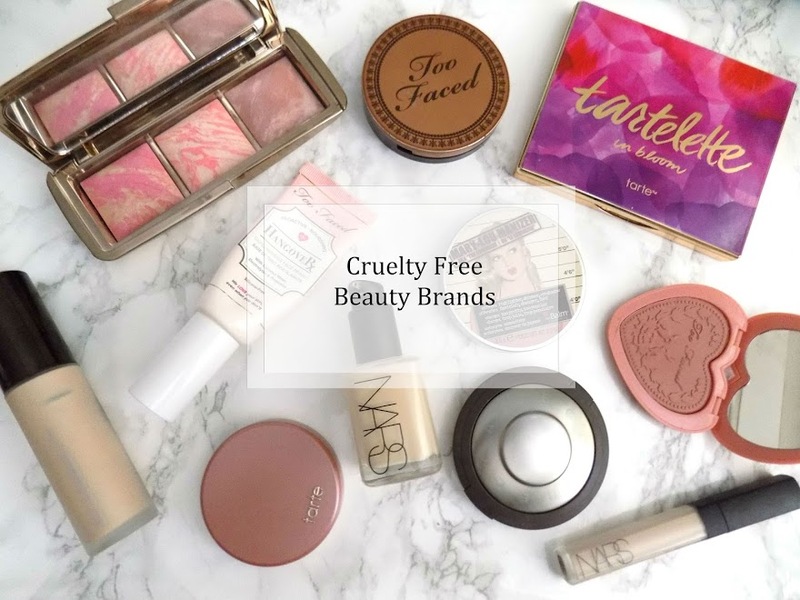 Products with oil in them can cause makeup to slip and slide around the face, so make sure you're using oil free products. 2. Using a setting spray, spritz all over your face before and after applying any makeup. This will prep the skin and help with keeping your makeup where it should be and not sliding around. 3. I am a true believer in primers. I think they do amazing things for your skin when used properly, and are perfect for those hot and sweaty summer days, where melting makeup is every girls nightmare. 4. Use a long wearing foundation and concealer to make sure your makeup will have the highest possible chance of making it through the day. 5. When applying your makeup, use a sponge or brush to press foundation and concealer into your skin rather than swiping or buffing. This makes sure the makeup is pushed into the skin to increase the lasting time of your makeup. 6. Following the above step. 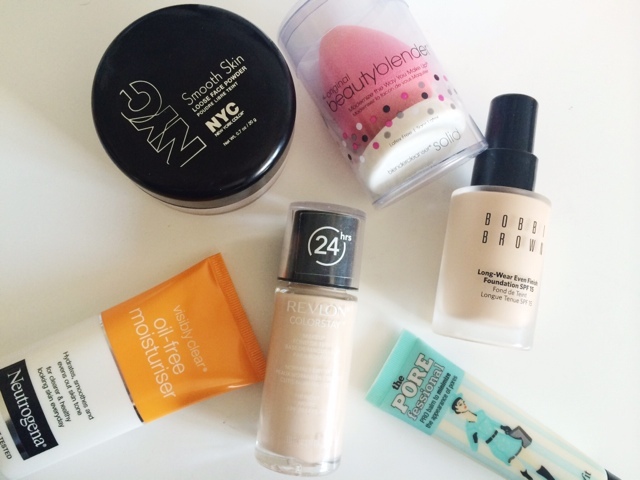 Use a brush or sponge to press translucent powder into your skin to set your makeup. Follow with a setting spray to prevent cakey-ness. 7. Only apply makeup to the areas you need it. If your problem areas are the centre of your face or your under eyes or scarring or whatever the case may be, only apply foundation or concealer to those areas. You could always use a mineral powder foundation for the rest of your skin if you don't feel comfortable it just being on specific areas. 8. Apply thin layers of products to avoid cakey makeup and prevent melting off. 9. Powder is your best friend. Setting your makeup with a powder will help with any oils and keep your makeup from sliding right off your face. 11. 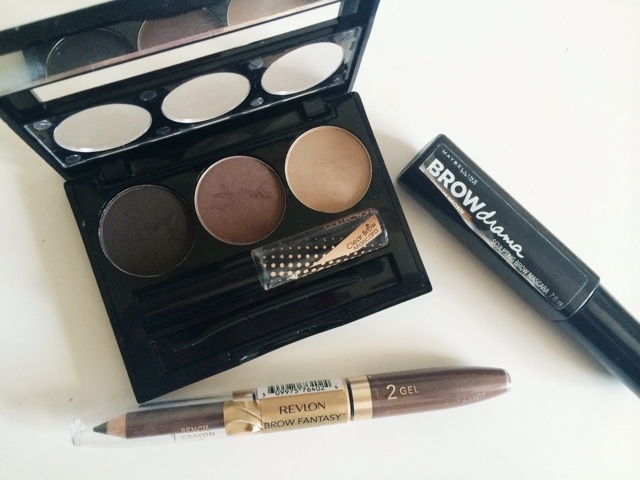 Prime eye lids and under eyes for crease free makeup. This increases the longevity of your eyeshadows and concealer. 12. Once eyelids are primed, apply a light dusting of powder over your eye lid, from lash line to brow. This will help keep your eyeshadows looking their best and keep them where they should be. 13. A cream eyeshadow is your best friend if you like to have eyeshadow on in the summer. These tend to be more waterproof and crease-proof than powder eyeshadows. Plus they come in lots of different colours and forms so keep an eye out for any waterproof formulas. 14. This is pretty standard but a waterproof mascara and eyeliner are a must have. 15. 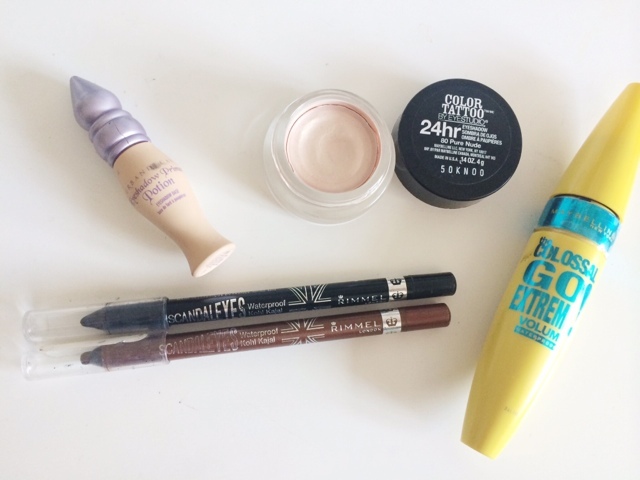 If you like to wear liquid eyeliner in the summer and need it to last all day. Use a matte black eyeshadow over the top of your eyeliner to set it in place. This will make it last all day and won't wear off or smudge. 16. If you find your mascara and eyeliner tend to smudge and give you the oh so attractive panda eyes, use an eyeshadow on your waterline rather than a kohl eyeliner. Or simply don't apply mascara onto your bottom lashes. Lots of people have oily eyelids, so when you apply primer to your eye lid, apply a small amount along your lower lash line to keep any eyeliner or shadows in place. 18. Rather than a crazy bold lip, go for a tinted lip balm with SPF in. Although they're not super long lasting, at least you are 1. 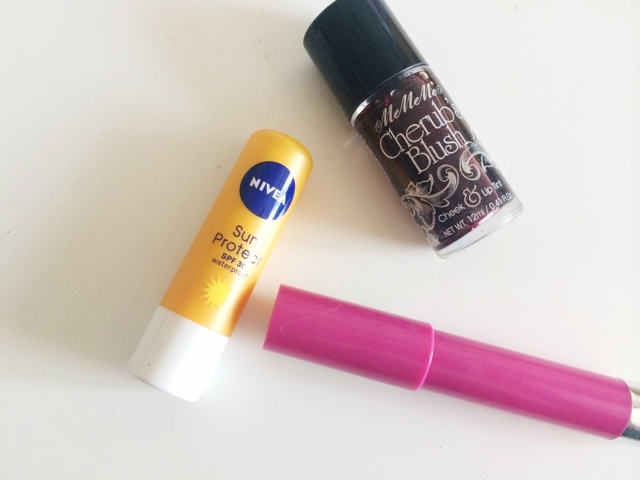 Preventing sun burnt lips - it's not nice, and 2. They're such low maintenance. Or, use your cheek stain on your lips. This will actually stain your lips, so even as the top layer may have worn off, the stain is still on your lips, leaving it to last for the whole day. 19. If a bold lip is desired, simply apply a thin layer initially, then take 1 ply from a tissue, and blot your lips, removing the excess oil but leaving the pigment behind. Repeat steps until the pigmentation is to your liking. This is such a good way for keeping your bold lip in tact for hours. You can also apply a similar colour powder blush over your lips to set them in place even more. However this can often dry out the lips so be careful with how many of these tricks you do in one go. 20. Similar to blotting your lips, if you use a ply of tissue and blot your skin with it once you have applied your foundation, this will do the exact same thing, it will remove any excess oils but leave the pigment giving you a long lasting base. This is also a good trick for making sure your makeup isn't cakey or powdery. I hope these tips and tricks help some of you out. By all means if you have any tips I haven't included in today's post, please leave them in a comment or send me them via social media. Thanks for reading guys. Monday mani will be back next week where I will show you the nail design I put with my little mermaid costume. What are your waterproof and sweat proof tips?